Lawn care is something that can be over looked at times. Sure you may water and mow, but that is just scratching the surface. Here is some friendly information that can help your yard look that much better. A simple and easy method of making your grass stronger, just raise your mower setting and mow more frequently leaving the grass clippings on your lawn. By mowing high, you will expose more leaf surface area to the sun, and the taller grass blades will shade weed seeds, preventing them from germinating. Letting grass grow too tall causes excess grass clippings that smother the turf and take a long time to break down. For example, if you set your cutting height at 2 inches, then cut before the grass is more than 3 inches tall. Grass clippings are a great source of organic material (nitrogen mainly) and as they break down provide valuable nutrients to your lawn making turf greener and tougher. Also will prevent common turf diseases like thatch, cuts down on watering needs, and eliminates disposal of grass clippings and leaves. By following the one-third rule your clippings will be small enough to leave on your lawn without the concern of smothering your grass. Occasional fertilizing will always be necessary when cultivating your yard. Garden-Ville’s NitroGem (7-2-2), or Microlife Brown Patch(5-1-3) for St. Augustine lawns applied at the recommended rate, will provide your lawn with the nutrients it needs. 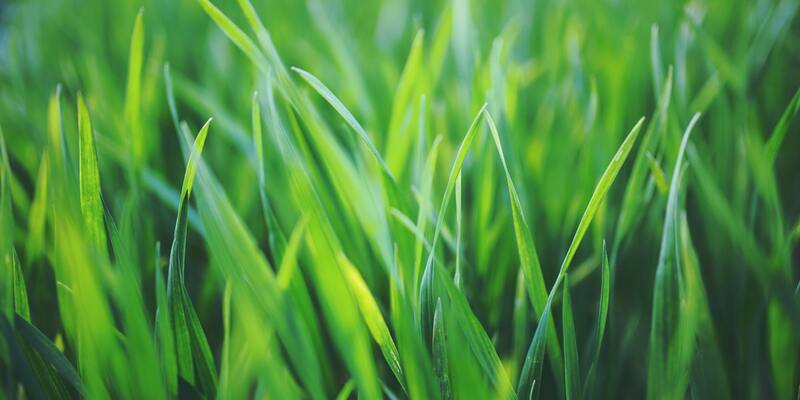 Real Growers Recharge, molasses, and diatomaceous earth are also great options for use on your turf grass and will build up the organic matter in your soil. Recharge will make more nutrition available to the plants root system for faster and stronger grow rate. Molasses feeds the microbes in the soil, while diatomaceous earth will help prevent pest problems. I live in Celina and was wondering if this area of the State recommend composting your lawn in order to add necessary nutrients. I moved from San Antonio and composting a lawn is used by a great deal of home owners. You can add compost to your lawn, but it isn’t that common or necessary a practice around here. Composting or even using the mulch setting on your lawn mower will add organic matter to the soil. You could also use a product like TEXAS TEE 6-2-4, which is an organic, slow-release lawn food (that’s also good for trees, shrubs, and flowerbeds). Thanks for helping me understand that grass clippings will be able to keep your turf from having diseases since they are a great source of organic material. I guess I will be hiring a professional to do this for me since I have never done this before. It’s because I always lived in a condominium unit which is why I don’t have access to plants and grass that much. My lawn isn’t the best looking out there. I need to get it fertilized. A professional should be able to help me out with this.